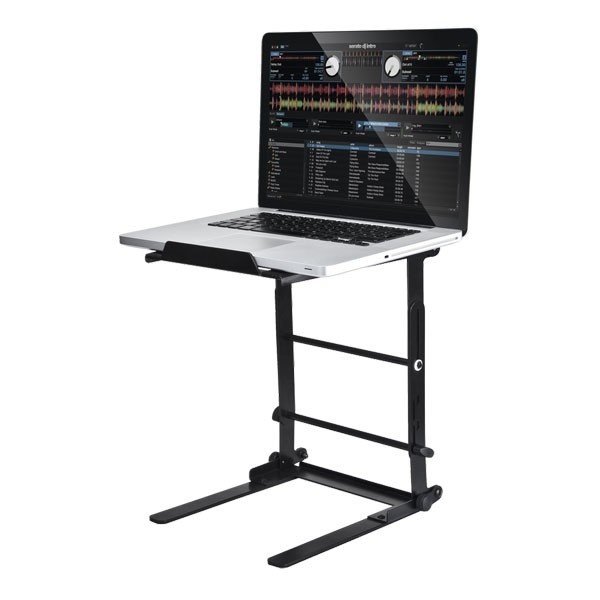 Sometimes it is the little, simple things in a DJ's life that make the job easier: Reloop's vertically adjustable, foldable Laptop Stand Flex is the right choice when there is not much space in the DJ booth or if you need a light, absolutely sturdy laptop stand for the road. When folded, Reloop's Laptop Stand Flex can be placed in every equipment bag thus becoming a safe, rugged companion for your club gigs. When folded, Reloop's Laptop Stand Flex can be placed in every equipment bag thus becoming a safe, rugged companion for your club gigs. And thanks to the vertical adjustment it can be adapted to every setup.